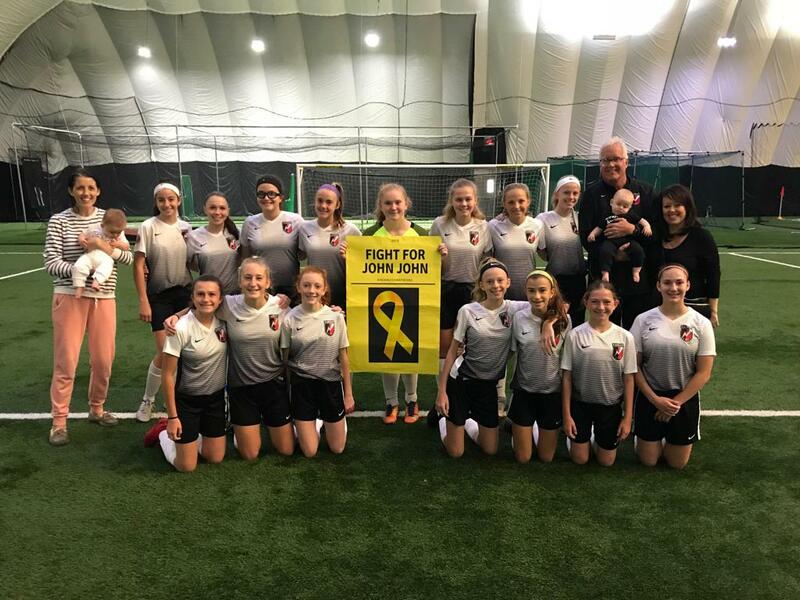 The Vardar Red 04 girls showed their support for the Eye Fight for John John fundraiser and were able to meet Johnny, grandson of coach Bobby Read, who is battling childhood cancer retinoblastoma. Johnny was diagnosed at four months old with the cancer and his parents have since formed the nonprofit charity to provide funds to families affected by this cancer. For more information about how to participate in the fundraiser go to www.eyefight.org.